The entire point of having homeowners insurance is to let you rest easy knowing that your home and your valuables are protected. And you pay a premium for this peace of mind, too. So you’ve got home insurance, and now you think that you’re fully protected — right? Unfortunately, most homeowners insurance policies are very specific as to what coverage they’ll provide. While a good read-through of your policy will cue you in to all of the details, following are a few things your homeowners policy probably doesn’t cover. That’s right — while you might think you’re buying insurance to cover all of your most valued possessions from all forms of harm, there are plenty of things that homeowners insurance just won’t cover. If you find yourself caught in an earthquake, you better hope you have specific earthquake coverage. These events are sometimes categorized as acts of god. They’re not covered by your policy unless it’s written specifically in there. 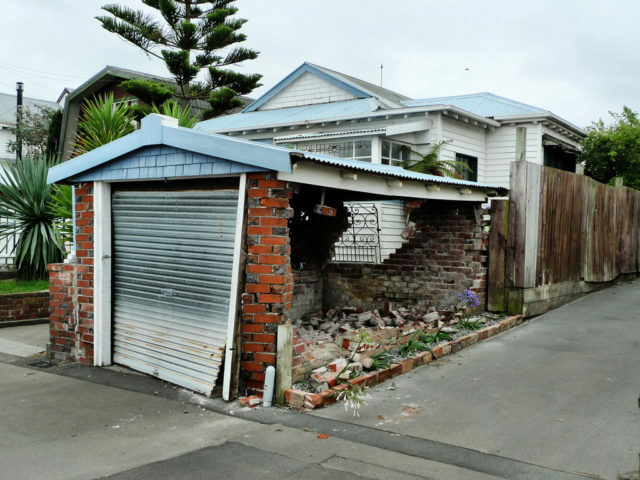 If you’re living in San Francisco or another area with frequent seismic activity, then you’ll have the option of purchasing earthquake insurance. If you fail to do so, any damage done to your home’s foundation caused by an earthquake can leave you holding an empty bag. When water makes its mark on your home, you won’t be able to rely on homeowners insurance to fix any water damage. Mold is common — especially in these states. But most policies will either severely limit the payouts for mold, or exclude mold altogether. Be vigilant about checking your home for mold in the initial home inspection. Any water damage that you see should be closely examined — because it’s likely to be a source of concern again in the future. You can also protect yourself after you move in by cleaning up any spills right away. Basic spills can lead to mold if left unattended over time. Clean up the mess now so you won’t experience the horror of a molding house later. You could also buy an extra mold coverage rider with your homeowners insurance policy, if you’re overly concerned. Some of the recent events around the world have prompted justifiable fear, as many worry if their city might be next. While the state of your home might be the last thing on your mind in the case of a terror attack, it’s critical to know where your insurance company stands. Most policies exclude acts of war. And in the context of the War on Terror, your insurance company will almost certainly consider terrorism to be an act of war. Even though you may think your policy doesn’t cover acts of terrorism, the policy should cover you for damage due to explosion, fire and smoke — the most likely causes of damage after a terrorist attack. Condominium or co-op owner policies also provide coverage for damage to your personal possessions resulting from acts of terrorism. Make sure that you have coverage for explosion, fire, and smoke. Or buy terrorism insurance. Some of the nastiest (and grossest) issues happen when you have sewer line problems. Not only will this threaten the interior of your home, but it will often threaten the sanctity of your yard. Most policies won’t pay for damage that results from problems with sewer lines. If you live in an area where this might be a concern, it can be beneficial to spend the extra $40 or $50 a year on specialized sewer line insurance. If you live in an area designated for flood insurance, you’ll likely be required by your lender to purchase that insurance. If you don’t, then it’s very difficult to get affordable flood coverage for your home. Most standard homeowners insurance policies don’t provide coverage for flooding. Whether that flooding comes from a hurricane, a big set of storms, or the breaking of a local dam, you probably won’t be covered. The federal government sometimes steps in with relief funding to help those who’ve been affected by flooding. But don’t count on this funding to fix everything. Funds are generally split among many afflicted homeowners, so you might end up with only a fraction of the money. Wondering what your home insurance does cover then? Wind and hail damage are covered. If someone steals from your home, you can likely receive reimbursement for what was taken. Structural damage or a falling tree can also result in a successful insurance claim. Here’s a good list of all the things that home insurance usually does cover. But the point of this article is to make you aware of the fact that your insurance simply won’t cover everything. Home insurance policies are notoriously fickle. Things like sinkholes and termites are rarely covered. The circumstances I talked about above can happen no matter where you live — leaving you in a difficult spot if your home insurance company is like most. Must read: 5 Surprising Things Your Homeowners Insurance Does Cover!